The statute of limitations is essentially a time limit deadline by which you must file your personal injury claim or lose it forever. Statutes of limitations can vary depending on the type of case, and they are often different from state to state. If you attempt to file a lawsuit after the statute of limitations has expired, it is likely that the court will dismiss your case. As such, it is critical that you take legal action as soon as possible. If you suffered an injury or lost a loved one due to another person’s negligence in Kentucky, contact the Troutman Law Office. 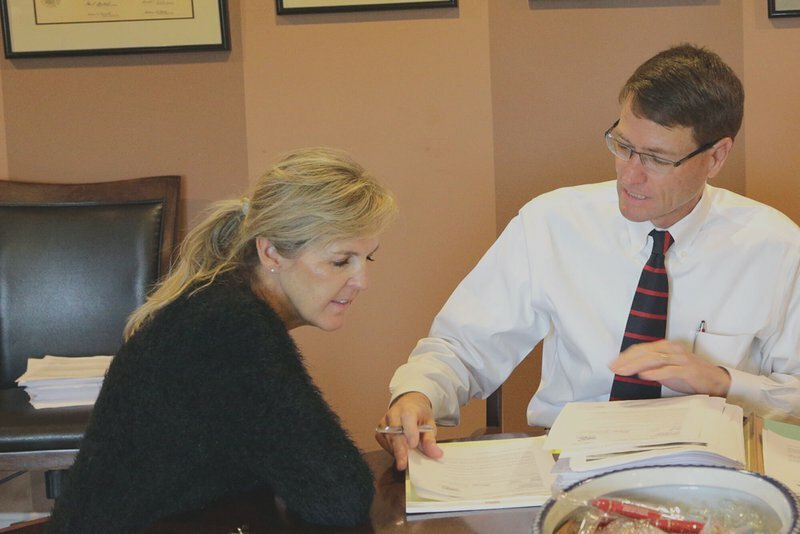 Matt Troutman is an injury attorney, representing accident victims throughout the state of Kentucky for over 30 years, who has the knowledge, resources, and litigation experience to help you fight for the maximum compensation for medical bills, lost wages, and non-economic damages. Call Matt directly to schedule a free initial consultation. If you are involved in an auto accident - this would include accidents involving cars, trucks and motorcycles - and your vehicle has Kentucky no-fault insurance (also called PIP-personal injury protection) on it, then your statute of limitation is 2 years from the date upon which the last PIP payment was made by your insurance company. (KRS 304.39-230(6)) To determine the exact date your claim expires, you will need documentation of the date your vehicle insurance company last paid one of your medical bills. If you bought insurance for your vehicle while residing in the state of Kentucky (except for motorcycles), then you will have the PIP insurance referred to above because it is required by law. PIP coverage is required for all motor vehicles, except motorcycles. Even if you purchase what is known of as "liability only" coverage, you will still have the PIP coverage. If you reside in a state other than Kentucky and are injured in an accident while in Kentucky, you may or may not have PIP coverage. If your insurance carrier is licensed in the state of Kentucky, you are provided PIP coverage even though you did not purchase it. Many attorneys do not know this fact. If your vehicle- car, truck or motorcycle - was not insured or is insured by an out of state insurance company that is not licensed to do business in the state of Kentucky, then the statute of limitation on your claims is 1 year. Some insurance companies may provide "med-pay coverage", but this is not PIP and, therefore, it will not extend the statute of limitations beyond 1 year. Most motorcyclists do not have PIP coverage on their vehicles because, unlike cars and trucks, it is not required by law and it is expensive. Special Circumstances when the time limit -statute of limitations- in Kentucky is not 2 years from the date of the last PIP payment as described above. Products Liability Claims - If your auto accident involves a products liability claim, which would be a claim that there was a defect in the automobile that caused the accident or injury (for example - defective seatbelt, airbags, brakes, etc. ), then the time limit for filing the claim is one year per KRS 413.140. Wrongful Death Claims - If the accident results in the death of someone, then the wrongful death claim must be filed within 1 year from the date of the accident per KRS 413.140(1)(a). Actions against the County or State - If the accident is caused by the negligence of a county or state employee, then the claim must be made against the state in the Board of Claims and all Board of Claims claims must be filed within 1 year from the date of the accident. Not all acts of negligence by county or state employees must be filed with the Board of Claims, such as where the county or state purchase liability insurance for the claim being made. Claims by Minors or Persons Under Disability - If the person injured in an accident is a minor or person under a disability recognized by the state at the time of the accident, the statute of limitations is two years from the date that the disability ends. For minors, the 2 year time limit would not begin until they reach 18 years old or are otherwise emancipated from being a minor. Loss of Consortium Claims - This claim can be made by a spouse or other relative of the injured party for the loss of services and companionship of the one actually injured. The time limit for this claim is 1 year from the date of accident per KRS 413.140(1)(a). Uninsured Motorist Claims - If the person or entity causing your accident or injury is uninsured, then you can make a claim against your own insurance company for the personal injury damages caused you by the uninsured motorist. In Kentucky, it is required by law that insurance companies offer this coverage to you. The statute of limitation for this claim is the time period specified in the insurance policy, but at least 2 years from the date of accident. If the policy speciifes a period of time less than 2 years, the provision is declared void and the 10-year statue of limitations for contracts is used. Time Limit for Filing Other Personal Injury Claims- Medical Malpractice, Premises Accidents, Nursing Home Abuse, etc. KRS 413.140, says that the statute of limitations for personal injury claims related to slips and falls, medical malpractice, nursing home abuse, assault, and other types of cases is one year from the date when the injury occurred or sometimes from the date when it should have been reasonably discovered. There are, however, some exceptions to this rule. If you intend to file a personal injury claim, it is critical that you take action before time limit -the statute of limitations- expires. Attorney Matt Troutman can help you meet all relevant deadlines and fight for the maximum payout. Let Matt figure out the complicated time limit laws that apply to your claim. Call Matt directly for a free consultation at 502-648-9507 or 859-696-0001 or visit the Troutman Law Office website by clicking here.